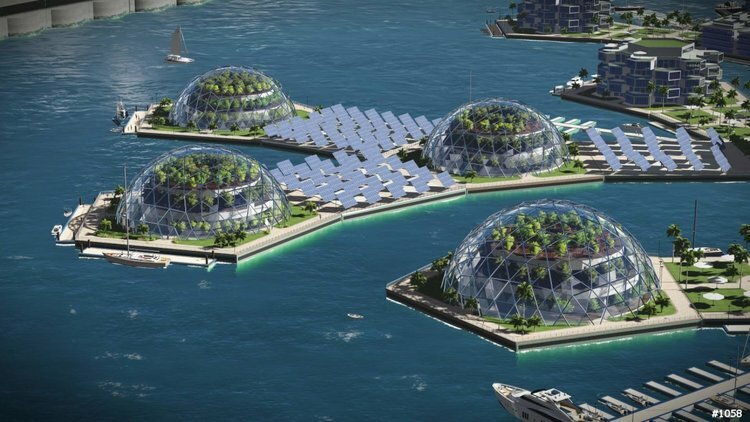 Peter Thiel enthusiastically announced his plans to launch a floating scientific city free from the constraints of states and banks. He announced his plans back in 2011. His libertarian dream is slowly becoming a reality. His utopian vision of freeing men of science and technology from the control of governments is supported by some tech billionaires as well. The way these islands may function economically can be supported by cryptocurrencies or digital money. Or it may function like Jacques Fresco's vision of Resource Based Economy, the complete absence of money. The shores of San Francisco California is the place where the first floating city will be constructed. It is expected that by the mid 21st century there would be dozens of floating cities throughout the Atlantic and the Pacific Ocean.